A passion for achieving excellence was adopted from our founder with providing our customer products of the highest quality. Our veal and lamb are raised on local family farms in the regions of Ontario and Quebec. 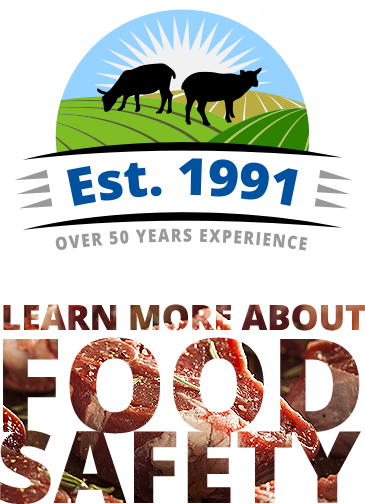 Our livestock is sourced from family farms where animal welfare standards ensure the health and well being of every animal while maintaining sustainable farming practices. Families taking great pride in the animals they tend to, in turn provides for the highest of quality in the products we produce. Full traceability and rigorous quality assurance systems ensures the highest standards in food safety. Our commitment to customer satisfaction remains the driving force behind our dedication for the continuous improvement of our products and the level of service we provide. The results of these efforts is an extraordinarily flavorful product inspiring professionals and home chefs alike in creating unique and memorable culinary experiences. White Veal Meat Packers Ltd. Copyright © 2019 White Valley Co. All Rights Reserved.